Tekapo may be a small alpine village in the Mackenzie, but it packs a big punch. Recently named the ‘most Instagrammed location in New Zealand,’ Lake Tekapo has reached international stardom with its turquoise waters and painted mountains; all which provide the most stunning backdrop to a little church that has brought thousands to witness its beauty. The small town that has long been a Kiwi favourite holiday destination is now reaching international visitors more than ever. With a good mix of tour operators, shops and restaurants, Tekapo is a town on the rise. 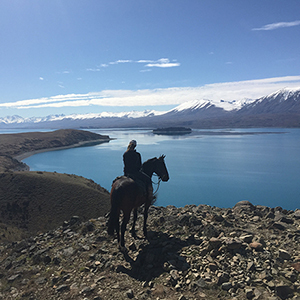 Located only an hour’s drive from Aoraki/Mount Cook National Park, Lake Tekapo has become a base for all sorts of activities in the region. 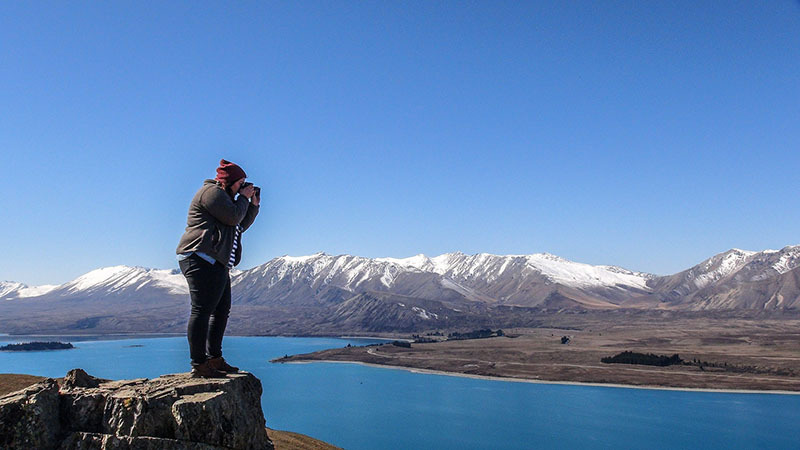 Thinking about heading to Tekapo? Check out the five things you can’t miss. The lupins have been captivating the attention of both visitors and locals for years with their stunning colours and unique shape. 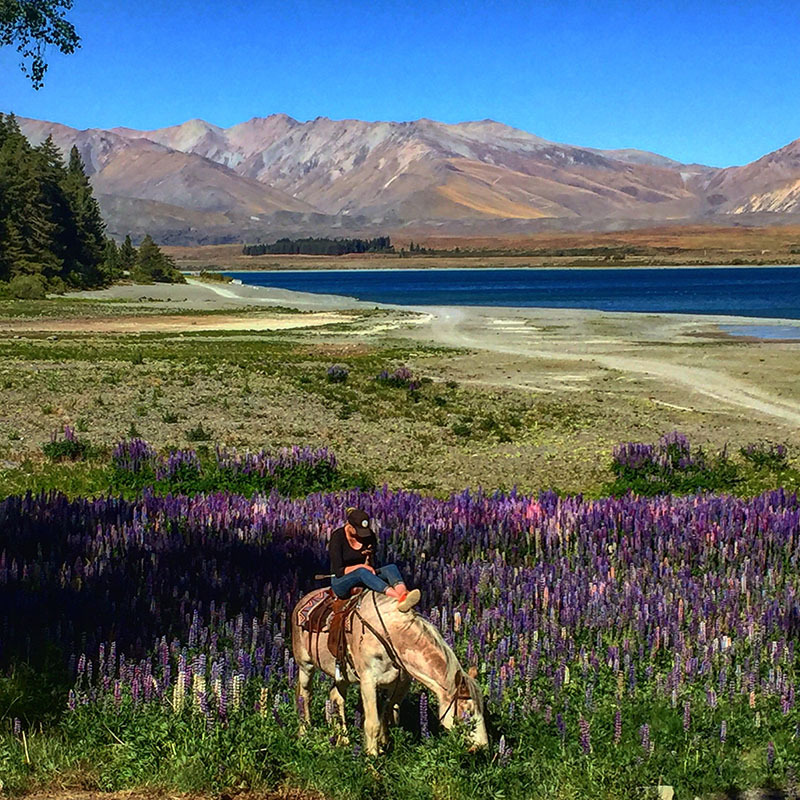 Although an intrusive weed, lupins have become a must-see in Tekapo. The Church of the Good Shepherd is the most popular and iconic location for lupin sightings, and for good reason. The view alone is spectacular. Local’s tip: Lupins usually bloom in early December. It’s the best time to visit before high tourist season, plus you’re more than likely to snap a photo without the hordes of other lupin lovers. 2. Take a hike up Mt. John. Hiking up Mt. John is not only great exercise, it’s also a must do for what’s waiting for you at the summit. 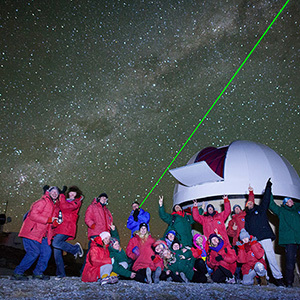 At the top is a 360-degree view of the lake and the Mackenzie Basin, accompanied by a charming café and the University of Canterbury’s Observatory. The 45-minute walk up starts at the left of Tekapo Springs and winds its way through a dense forest. Take this way up to enjoy the views of the lake and township and the long way around on your way back to gaze at the jaw-dropping scenery. Local’s tip: Stop for a coffee at Astro Café at the top and soak your muscles at Tekapo Springs at the bottom after the hike! 3. So many activities. So little time. 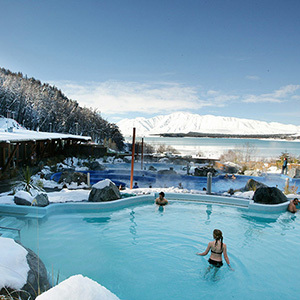 Tekapo is tiny in comparison to several other destinations on the South Island, but don’t fret. There are enough activities here to keep you busy for at least a week. Activities include: Mountain biking, hiking, paddle boarding, soaking in the hot pools, star gazing, skiing, horse trekking and scenic flights. 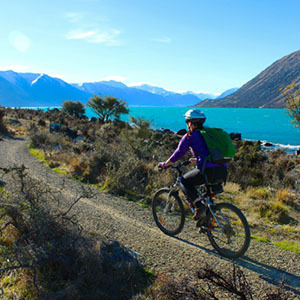 With a wide range on offer, Tekapo is a great destination for every type of traveller. Local’s tip: To avoid missing out on activities, look at visiting in late February to April. They are great times to visit and the weather is still great. Mid December to early February is peak season, so if you’re coming during those holidays, book your accommodation far in advance. The little town of 350 books out fast! 4. See Tekapo from the sky. Tekapo is beautiful from every angle, but it’s especially magical from the air. There are helicopter and plane options from local operators that will get you up and over the famous turquoise lake every day of the week. Keep your eyes peeled for the magnificent braided Godley River interweaving its way down to meet the top of the lake. 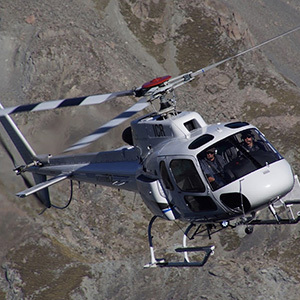 If you have the time and budget, opt for a flight that takes you around Tekapo and on to the West Coast and Mount Cook for the ultimate aerial experience. Local’s tip: Do not forget your camera! 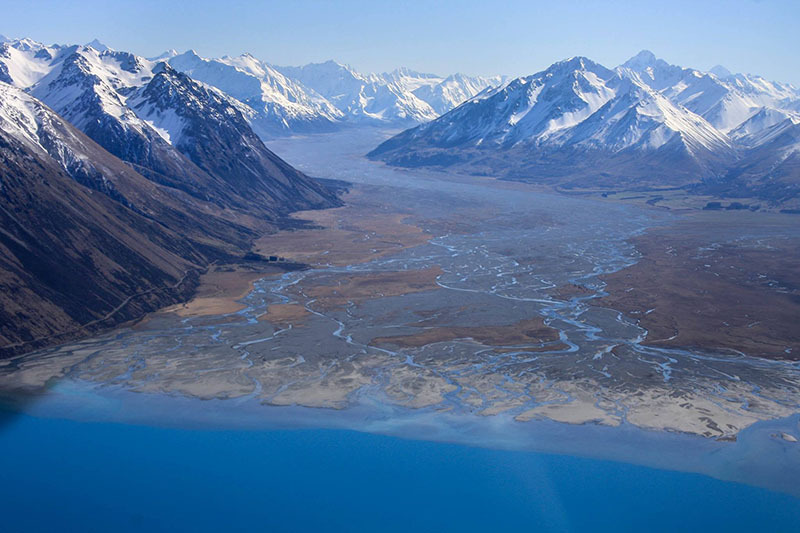 The views over the lake, West Coast, and Mount Cook are unforgettable. 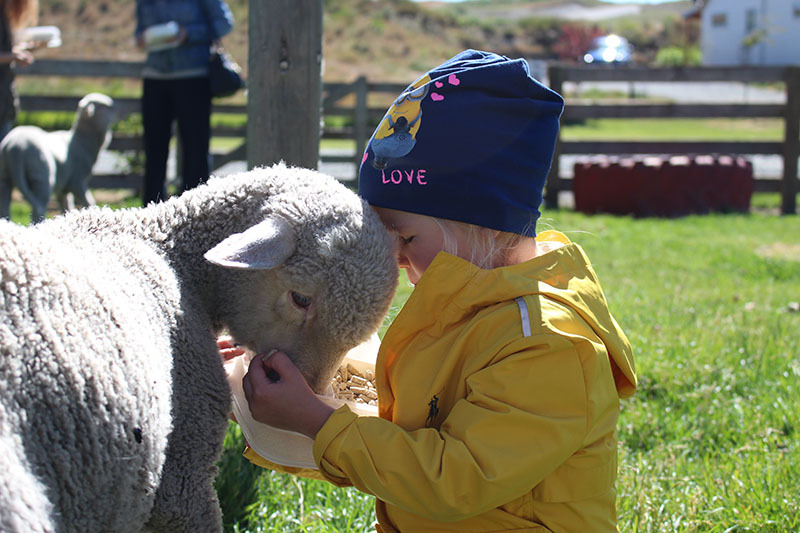 The Balmoral Farmyard is an interactive, family-friendly activity for animal lovers. You can purchase a lunchbox filled with goodies to feed and play with the alpacas, pigs, lambs, sheep, rabbits, and more. It’s a big hit with the little ones in your family. The farmyard is also home to accommodation and a shop where you can purchase local Merino clothing. Local’s tip: If you love baby animals and want a chance to feed them, visit in October. You’ll be able to bottle feed baby sheep and calves!